Our Jewish community has been moving east since 1839, when the first Jews settled downtown south of Public Square. 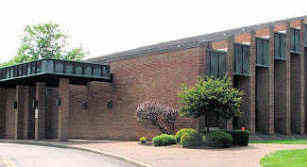 By the 1960s many young member and prospective member families were living far east of the "Heights". 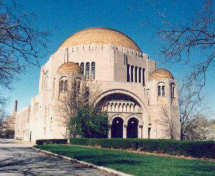 The Temple's response in 1971 was to keep its University Circle building, but to construct what it called a "branch" on Shaker Boulevard in Beachwood. Initially the new building was used primarily for the religious school, but it was carefully designed to allow future expansion. 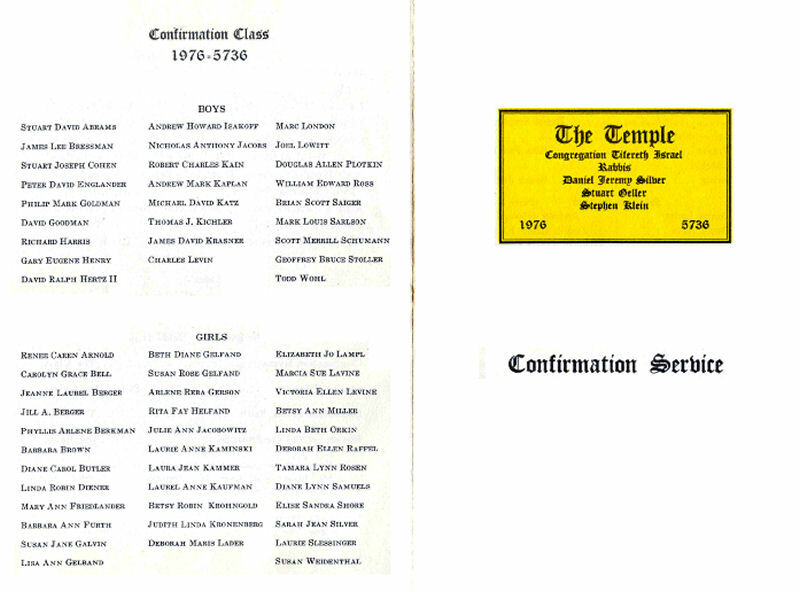 Just as many Conservative congregations would adopt the Reform movement's Confirmation ceremony, Temple families had begun asking that their sons and daughters become Bar or Bat Mitzvah. 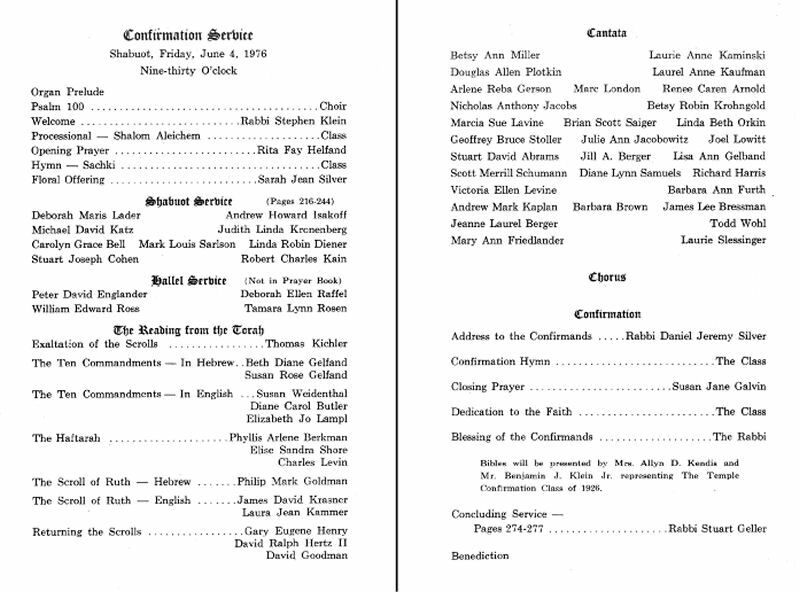 In the 1970's such ceremonies were low-key and held in the Gries Chapel. They were not yet the norm. 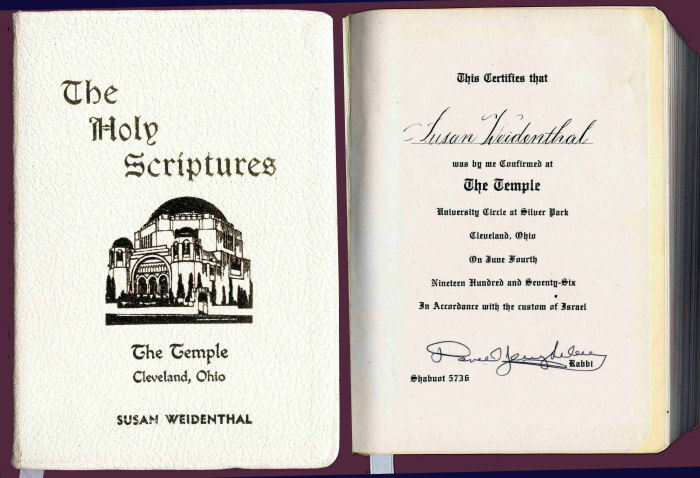 Maurice (Bud) Weidenthal's daughter Susan, today Susan Weidenthal Saltzman, was confirmed in the sanctuary at the University Circle building on June 4, 1976. 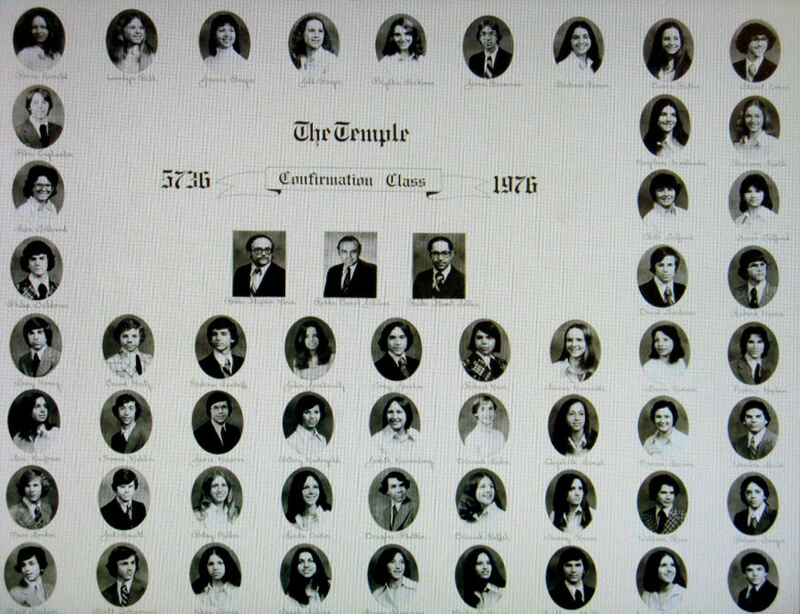 The 1976 confirmation class, with 61 confirmands. The program shows increased of Hebrew, including the Haftarah and the Scroll of Ruth.